Leadership Class Saturday August 6th at 12:00pm for all Black Belt Club Members, please rsvp asap! Annual Pizza Bash and awards ceremony Saturday, August 27th at 6:00pm at Magoo’s in Newbury Park! 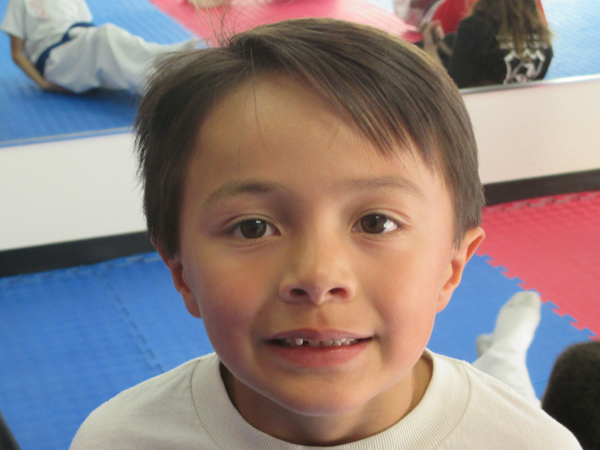 Cooper joined our Black Belt school back in April of 2014 and has made tremendous progress in not only his martial arts skills, but he has also become an outstanding young man of character! Always in class, Cooper and his brother set an example of attendance that is hard to beat. Besides being great at Forms, Cooper has an ability to help and teach others his own age that is far beyond his years. Currently a Green belt, Cooper is well on his way to become an outstanding Black Belt. Sifu Rick and staff are very proud to have Cooper and his brother Jackson in our Black Belt school, and would like to thank their parents, Kay and Jackson for all their support of not only them, but our Black Belt school as well. The best of intentions can get thrown off every easily. We live in a fast-paced and hectic world. It seems as though we do not have enough time in they day to work and take care of our families, let alone set time aside to eat properly and exercise. You jump in the car and upon getting on the highway, you find there is a 30 minute wait or more delay along with a call from your son stating that he has a project due tomorrow! So, instead of going to the grocery store to get what you need for the healthy meal, you just order a pizza while you are stuck in traffic. You finally get home, eat pizza while you help your son with his project and then find yourself too tired to workout. You then veg in bed watching tv until you fall asleep. This is all too familiar for many people. The example may not be exact, but the message is the same. We intend to take care of ourselves, but there is always something or someone that derails the plan. How can we stay a step ahead of life’s curveballs thrown our way? Here are some tips to do just that. The best thing you can do to overcome the majority of the bumps in the road is to plan and prepare ahead of time. Meal prepping has become popular and can be a lifesaver when faced with not having the time to shop and then cook a healthy meal. During the weekend, take some time to plan out the menu for the week. Breakfast, lunch, dinner and snacks for every day. Then go shop for the food/ingredients you will need. By already having the food needed for the meals, you can save yourself crucial time during the week by not having to got to the store before you cook. Had that been done in the example above, pizza probably wouldn’t have been ordered! You can take things a step further by preparing/cooking and packaging meals for the week on the weekend. This will help with portion control and make eating healthy options for breakfast, lunch, and snacks, easier. It turns this into a grab-and-go affair. Time permitted, prep some of tomorrow’s dinner the night before. Schedule your workout days and times the weekend before. Make sure you and your significant other are on the same page as that will help with hectic schedules. If everyone knows ahead of time when you are going to workout, there are no surprises and all can plan accordingly. All of this takes time. It will not cut down on the total amount of time you will spend on a healthier lifestyle. Rather, it is helping you stay on track and one step ahead! Give them the information, up front. Count down to the first day of school, visit the building, and meet the teacher. Practice anything that might be new, such as opening lockers, waiting at bus stops or walking to different classrooms. Talk through any anxieties. Whether your child is ambivalent or anxious, make sure you answer any questions he or she might have about the upcoming year. Reconnect them with old friends. School year friendships can get lost in the hustle and bustle of summer. Ask your child which old friends he or she would like to reconnect with, plan an end-of-summer playdate.